Dallas Hood Cleaning offers commercial vent hood installation in Dallas, Texas. This service is often used by local eateries and businesses when they're starting up, expanding, or replacing old hood systems. The primary purpose of installing a vent hood is to assist in keeping the kitchen air clean so it's safe to continue cooking in the vicinity. These vent hoods connect to air ducts that force dirty air out of the building. If you're considering using a hood without a vent, stop now. The vent is the crucial element that promotes the removal of steam, smoke, grease, heat, and cooking odors from the area. Without a filtration system in place, heat and dirty air builds up in the room, creating an unsafe environment and potential fire hazard. As licensed contractors, our professional technicians can assemble and install your commercial vent hood quickly and effectively on demand. Poor (or untrained) installation can (and usually does) void the warranty on most units. There are many elements to consider, such as the maximum weight loads on walls and ceiling beams, leaving enough room for the air duct, the positioning of the rooftop assembly, and the proper clearance height between the ventilation hood and exhaust duct to ensure compliance with NFPA 96 and other local building codes. Call now to speak to an expert technician near you – ​(214) 771-9151. We work with all the brands you know and love. From GE to Whirlpool, our certified professionals can install, clean, maintain, repair, or replace any exhaust hood you’ve got. With a large team at hand, we can handle a job of any size and scope. We’ve got clients with small cafes and others with famous, national food chains. The common theme is the trust they place in us to provide quality duct cleaning on a recurring basis. If something goes wrong and you need us fast, contact us for emergency exhaust hood repair. Our technicians do everything in their power to ensure your restaurant or commercial kitchen is sanitary and ready for an inspection at any time. We guarantee your inspector will be shocked at how clean everything is. Why Do Insurance Companies Require Regular Exhaust Hood Cleanings? 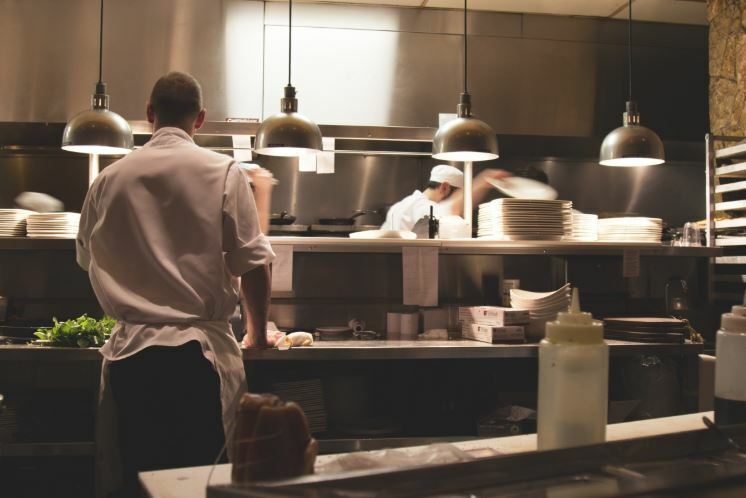 Due to the steep financial burdens common to grease fires, most restaurant and commercial kitchen insurances call for regular exhaust hood cleaning to keep active coverage. The frequency of cleanings depends on your location, the size of your kitchen, and your primary types of cooking. Deep-frying is the kind of cooking that insurance companies look out for. If that’s your focus, expect to be sanitizing your exhaust hood often for fire prevention. Constantly deep-frying food creates excessive accumulation of grease as oils are burned up and float into the air. These oily vapors stick to the vents, ducts, hoods, fans, and all the other components of the system, which poses a tremendous fire risk. The typical requirement is to clean your exhaust hood quarterly, but it’s smart to clean more often if possible. Keep the commercial exhaust hood system sparkling because it’s the main reason you’re able to breathe reasonably fresh air in your kitchen. The exhaust extractor fan draws dirty air through the hood, into the filters, through the vents and ductwork, into the grease trap, and out into the environment typically on the rooftop. All along the way, grease builds up on the surfaces it lands on. Call our Dallas exhaust duct cleaners today at ​(214) 771-9151 for a free estimate.